Boys of all ages need their toys and the older they get the bigger the gifts they want, but thankfully, for now, he is only 4 years old and deciding on the right present couldn’t be easier. We have put together a huge list of gift ideas to help parents pick the right one because with all the chaos around choosing gifts this makes things a little easier. We have put together a huge list ranging from musical toys to artsy types, sporty ones, building toys for their empire, board games to show their cleverness, children’s books to educate, magic trick sets to dazzle, cuddly ones for hugs at bedtime and loads more. So, whatever you think will be ideal you are sure to find one here in this comparison review of what is some of the best gift ideas for 4-year-old boys. When buying for a 4-year-old boy a gift you need to consider several factors before picking the ideal gift. When they reach a stage in their life where they can have longer periods of play outside it is time to think of a gift that can be used indoors and for outdoor use. A child’s language capacity and knowledge are expanding rapidly, which is why toy gifts that develop self-control are always preferred picks. When turning 4 years old the increased awareness of numbers and mathematics is a factor to consider. Children aged 4 will soon be put to the test at kindergarten. Their curiosity for life and everything around them is fantastic and an inspiration to us all, which is why you must find that a gift that enhances their day, whether birthday or not. Children at this age and stage are able to understand the subtlety of musical duration, tone, and pitch, which is why unique and creative gifts are fantastic and very well suited for this stage in life. 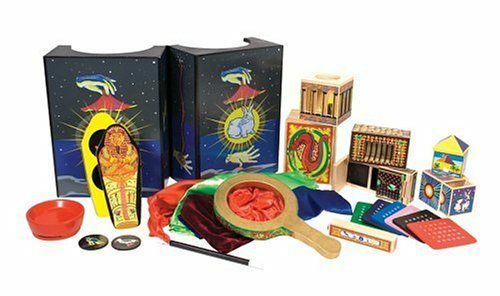 These can come in forms of musical games, musical instruments and various other toys that promote creative arts, both through dance and group play situations. Some parents understand the value of finding the right toy gift for their child’s capacity and abilities. Some toys, gift sets, and kits offer unique ways of developing a child’s ability to learn and develop through free-form play, language games, hand-eye coordination activities and various motor skills. Each of these can vary from child to child and by knowing a little about your boy, you might have quickly thought of what might suit their needs. There is a huge range of toys that benefit kids and some come highly rated by parents, both far and wide. However, the price is a factor and this is why we have chosen toy’s ranging from $5 up to $100 + to make choosing less difficult, but without losing out on quality and rest assure that these are some fantastic toy gift sets. 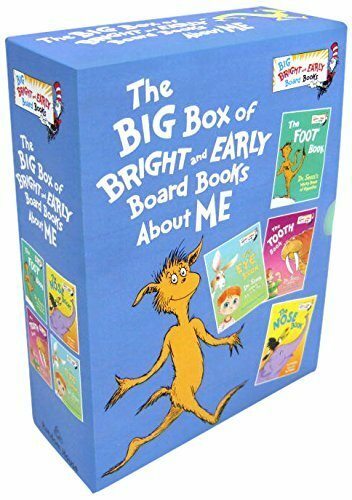 This book is a series of what is called “The Big Box of Bright and Early Board Books About Me” and is written by Dr. Seuss who is a world-famous author in children’s books. The stories are well illustrated and the characters come to life, which makes the kids come back for me each time its bedtime. Some parents are less inclined, but for the price, this is a great deal and the little guy will get countless hours of enjoyment listening to you read. This is for those boys who are more interested in relaxing at home who spend more time on the couch on the iPad than climbing trees and although these kinda boys are few and far between this is for them. There is a total of 4 books in this box set and will engage them with each story read, but hopefully, he will be reading to himself soon enough. Until then he will love the rollicking lyrical rhymes and enjoy a story at night read by mom. Every boy loves lego and when does that age stop I am not sure, but I am sure that it isn’t at 4 years of ages, which is why this is a sure gift for keeping the little guy busy for hours putting it all together. The simple guide is easy to use and build, just may take a little longer to build because it ranges from 4 – 7 years old as the manufacturing guidelines states on the box. Most children like a challenge and with all the lego pieces this will be a fantastic one at that, it baffles me how they do it sometimes, but boys are good at these things. The police car is cool and has a holding cell at the back of his truck, which can store a lot of gadgets, including the criminal on the bike who is trying his best to get away just now. 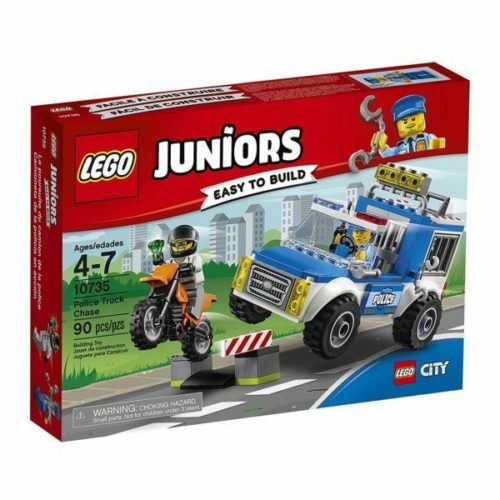 The mini figures come as one and the roadblocks, swinging gates, a motorbike/dirt bike can all be built to add to the theme of a high-speed police chase. This AMENON hoverball gift idea is amazing and the first time I came across this it made me think “what has the future in store for us”, soon there will be hovering cars, houses and people everywhere. This is a fantastic idea that comes as a gliding football, so if you kick it, it will hover along the ground like a UFO. 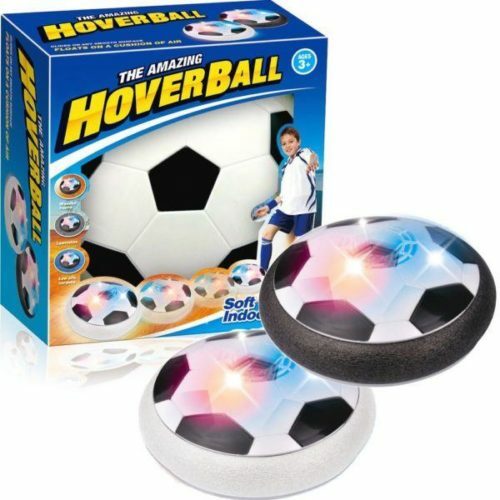 The size of the ball hoverball is the same as a size 4 soccer ball and for young kids turning 4 years old this is a good choice of gift. This really comes to life when they can get other children involved and begin passing to each other and because this hovers this can be used in the house with the worry the window or glass vases might get damaged. This needs 4 AA batteries, which are not included. These light up the ball that makes playing with it later at night loads of fun and the dogs love it! This light feature can be managed and during the day you can turn it off, so it doesn’t waste the battery life. The ideal surfaces are flat, like wood, concrete etc and without rough stones or gravel that impact its hover. This can also be used like a real soccer ball and outside this can be kicked with some vigor, so whatever the reason for buying this it won’t be a neglected gift. This Trademark Innovations 25-inch rug is a great gift idea for kids that like to have fun and play games. This is a great idea and a fun way to decorate a playroom and also be used to play games or checkers on. This can be brought to the beach, easy to travel with and is a foldable gift that will get hours of play out of. This is also an educational game that has a strategy and is usually learned before moving onto harder games like chess. This logical game helps develop their imagination and what is the likely outcome, which is a core skill for little one’s development. 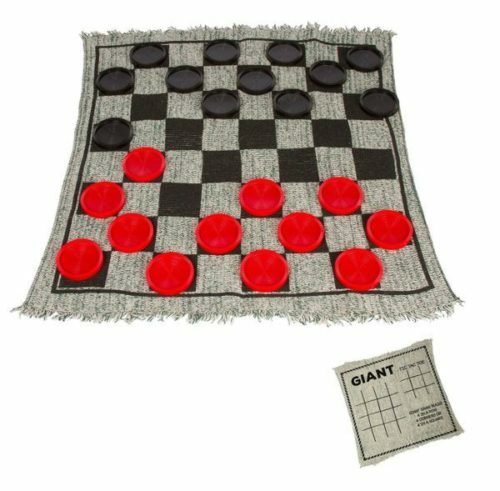 This can be washed and dried, which means it can last the test of time with hours of play and as the rug becomes dirty it can easily be washed and used for new games of checkers. Every boy needs to get a watch at some point in their lives and it is a sign of them growing up and becoming bigger. This is a stunning watch will all the classic design kids should have. This has loads of features and functionality and with a chronograph as well. This can tell the time, date, set an alarm and can be used in both analog or dual time. The watch is waterproof and has a solid wristband to be used in the outdoor without breaking. 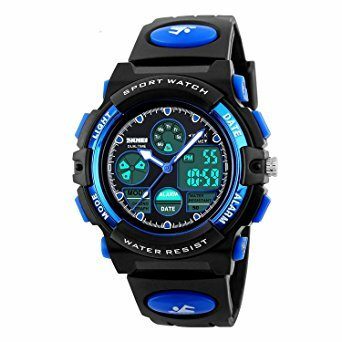 This is a very comfortable watch and easy to put on and off, which suits young children as they sometimes need time to get used to wearing one. The glass screen is made from resin glass and is high quality for a stunning shine and clean look. The depth this watch can be used underwater is 50 meters and with a backlight, this is one for day or night use. This is good for those families that go outdoors in nature and need to have their children aware of the time. 4 years old children are beginning to learn about time and the days of the week, so the earlier they start the better. 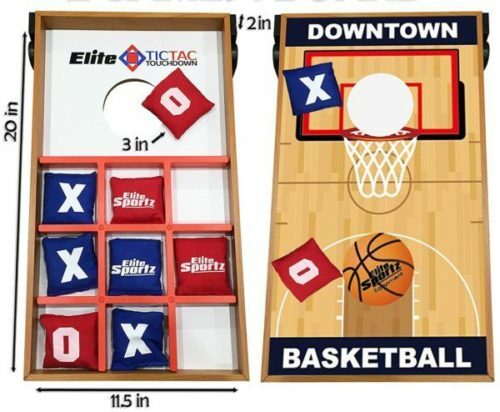 This reversible board game has 2 fun and entertaining games to play, tic-tac-toe and basketball-downtown hoops, which makes this an ideal gift for any child, especially if they love sports. The Junior Basketball game is themed like NBA and for those aspiring kids wanting to join the big league, which makes it perfect. The bean bags are also soft and easy to use, with no real concerns from a safety perspective. 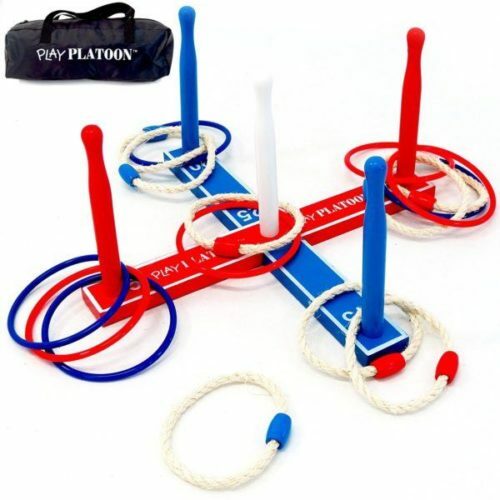 The toy bean bag toss game is great for hand-eye coordination and helps develop skills that boost confidence and improved motor skills. The adding & subtracting increases their counting ability mathematical understanding, which is good preparation for kindergarten and school. This is easy to store away and play with. The tossing game comes with a carry bag and includes 10 bean bags. These are well made and I haven’t heard any parents complaining about poor design, which makes this an ideal gift for any occasion. This is made for children aged 3 years old and above but is safe with no chance of any real accidents. 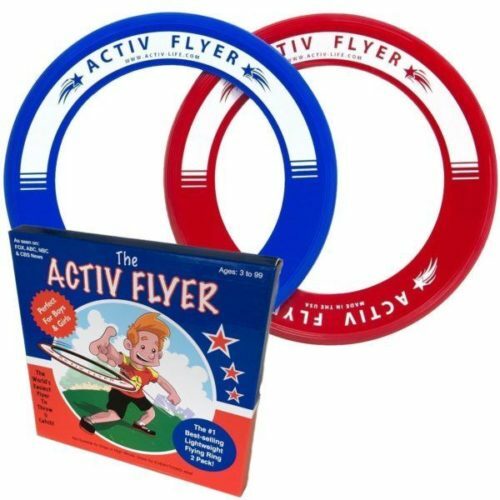 When it comes to frisbees, you’ll find it hard to beat the frisbee ring from Activ life. They’re durable, easy to throw and fun for the whole family. Your boy will happily put down his console and come out for a good old game of frisbee with his dad. This pack of two frisbees comes in two distinct colors, electric blue, and bright red. Both of which stand out from the foliage, meaning that these rings will be incredibly hard to lose. This is a perfect gift, designed with outside play in mind. Perfect for all ages and skill ranges. Fun at the park and the beach because these rings float on water! 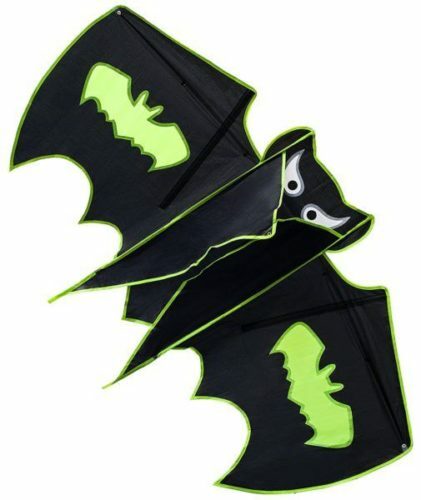 Kites really don’t get much cooler than this giant Batman kite. With easy to follow assembly instructions, this kite is as easy to fly as it is to put together. With 5 star ratings on Amazon, you know you’re onto a winner. Manufactured by ‘Nicely Home’, quality and durability are guaranteed with this oversized kite. Made from durable polyester, this kite will fly again and again with no wear or tear. Take the poles out once you’ve finished and it folds up nice and small, perfect for if you’re taking it camping and need to squeeze as much stuff into the minivan as possible. For ages 3 and up, Niceley home definitely made this kite with children in mind, and the entertaining design of the kite showcases the best that they have to offer. As well as the kite, this package contains the flying string too, so no need to worry about that. This fun party game is a great example of a gift that not only your four years old can enjoy, but the whole family. Bringing the fun of the carnival to your own backyard has never been easier. No tools are required to set this game up, and with the convenient carry case, you can take it and play it, literally anywhere. Included are 16 rings, half rope, and half plastic, so you can choose your preference and style. Great for birthdays, get together’s or just some good outside fun. The rules of the game are pretty simple, but you can mix it up however you want. Perhaps even getting your little one to make up some games. The more inventive, the better. Written in simple language that rhymes, little ones will love it when you pull this one out for a night time story. It’s perfect for children learning to read as the language is simple enough to grasp. 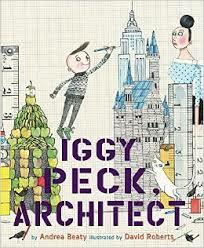 The story tells of a young boy who loves to build, even though sometimes his building materials can be a little crazy. 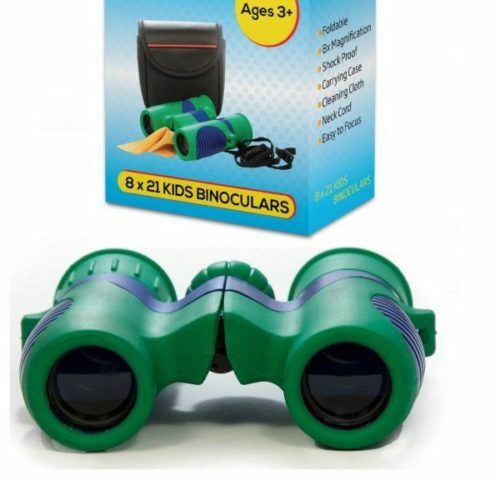 Get your little one into bird watching with this great pair of binoculars by Kidwinz. They come with a strap and a carry case so your boy can really feel like he’s a pro. We all know that children are prone to drop things from time to time, that’s why these binoculars come coated in a strong rubber coating, making them durable and comfortable when help against the eye. It makes a perfect birthday present for your four-year-old as he begins to discover the world outside of his own backyard. Great to play with all the family on a rainy day inside or when the sun is shining outdoors. 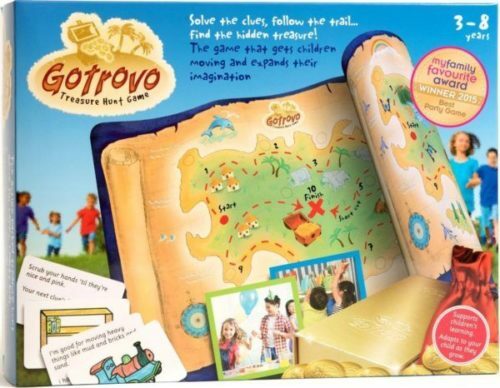 Set up a simple treasure trail or scavenger hunt and team up to find the items. Designed for 3-8-year-olds, this is a perfect birthday gift for parties, as you can have children in teams with no limit to the number of people that can play. It promotes problem-solving capabilities as well as communication and reading skills. 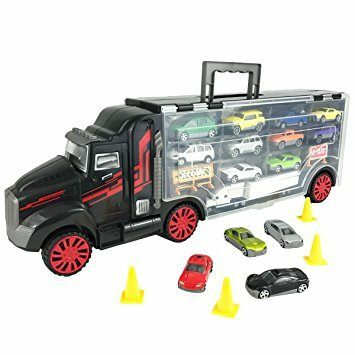 By the time your boy reaches his fourth birthday, he’s going to have a lot of cars, and what cooler way to store them than this Boley Truck Carrier. The truck comes with 14 die-cast model cars and 14 more spaces for cars that you collect over time. With wheels that turn your little one can use it as a giant vehicle. The convenient handle on top of the truck means that you can easily carry this storage/toy from one place to another. A toy that saves on space and contributes to the happiness of your child. Brilliant. Four-year-olds often find themselves wanting more and more to get involved with the sports that they see on T.V. 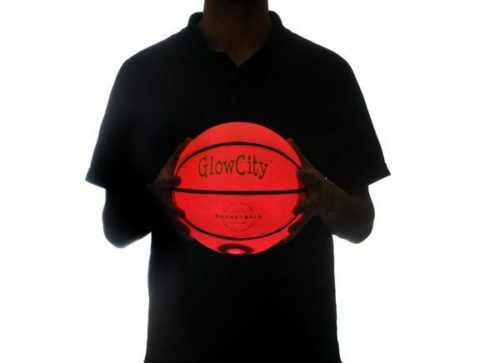 and what cooler way to introduce them to basketball than this light-up LED ball. The ball is an official size and weight and bounces like an official ball. The lights inside are powered by two batteries already installed and the lights turn off after one minute of inactivity, saving power. Play at night or during the day and the distinctive red glow will be seen anywhere. If you support the New England Patriots, chances are that your four-year-old does too. What better time to buy him his first true Patriots uniform than his fourth birthday. The shirt is made 100% polyester-mesh while the pants are 100% double-knit polyester coming with an elastic waistband and cuffs. Included in the package are a helmet (not to be used for contact sport) and a chinstrap. 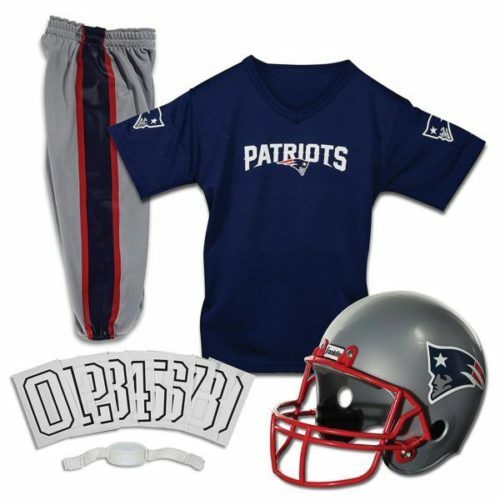 Customize the outfit with some iron on stickers and let your little man step into the shoes of Tom Brady or any other greats. Four-year-olds sometimes still struggle with staying in their bed for the entire night. With this NFL pillow pet providing them care and comfort, this may be a trouble of the past. 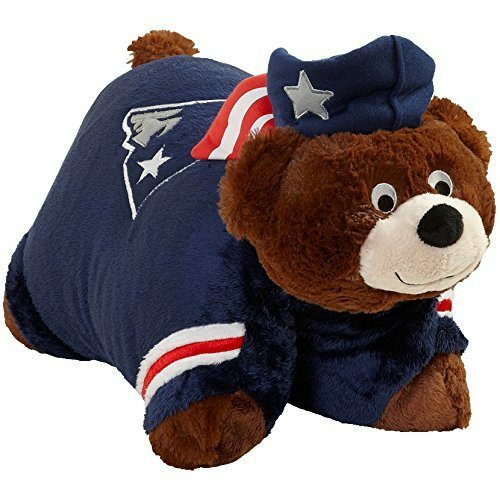 Don’t be fooled by the picture, the NFL has released a mascot for every single team in the league, meaning that whoever you support, there will be a plush toy out there waiting for you. The soft plush pillow animal comes with a foam filling and quality embroidery. It’s an officially licensed product so you know you’re getting a good quality bear that will last the test of time. Marky Sparky is back with their newly designed Missile Launcher. The new design means that the rockets get more power and fly higher than ever before. Powered purely by kid stomping power, the height of the rocket is purely determined by your four-year-olds ability to STOMP. Easy to assemble, the launcher stands at 31 inches tall, an impressive height by any means. 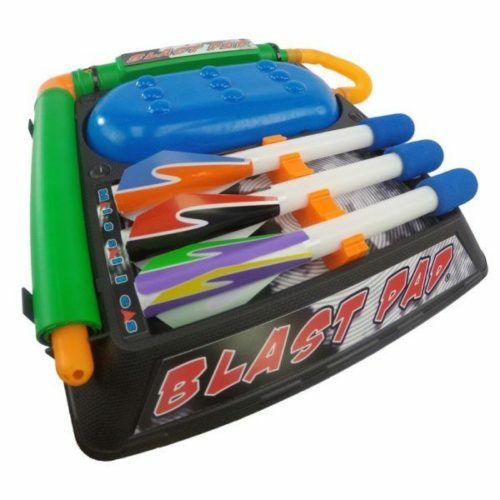 Once you’ve both had enough fun for the day, everything stores away neatly in the blast pad for convenience. A great birthday gift for those four-year-olds who love magic. instead of just watching the magicians, they can truly become one themselves. Made from quality deluxe wood, this gift helps to develop confidence in front of audiences, motor skills, and hand-eye coordination. With ten magic tricks to master, it will take your body time to be able to do them all. There’s nothing like longevity in a gift. 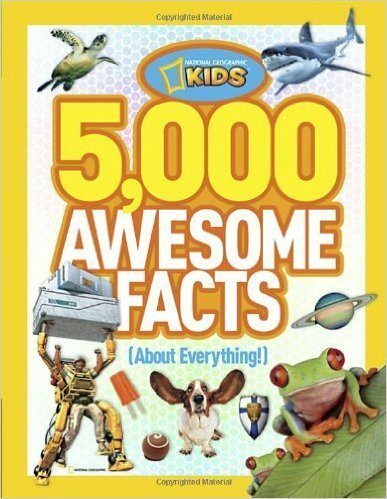 National Geographic is known for some of the coolest facts on the planet, now they’ve put 5000 of them in a handy first edition Awesome facts book. Boys love to read about amazing facts that make up the world, and at four-year-olds, the thirst for knowledge is perhaps never stronger. It will encourage them to read and retain information that has real-world applications. They’ll be spouting out information at you for days! 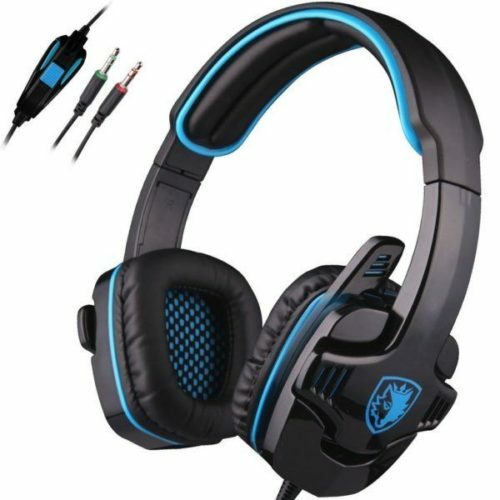 This stylish set of gaming headphones will fit perfectly next to your four-year-olds gaming console. The beautiful sleek design hides away a discreet microphone, used for talking to players in the same game. The over-ear headphones are cushioned to allow for comfort and prolonged use without getting any fatigue from the pressure of the headset pushing into the ears. Coming with two separate 3.5mm jacks (one for the microphone the other for Audio) you know sounds and voice quality is assured. Perhaps your four-year-old has ADHD or Autism, and for his fourth birthday, you’re not quite sure what to get him. Why not buy him something that will improve his everyday life. 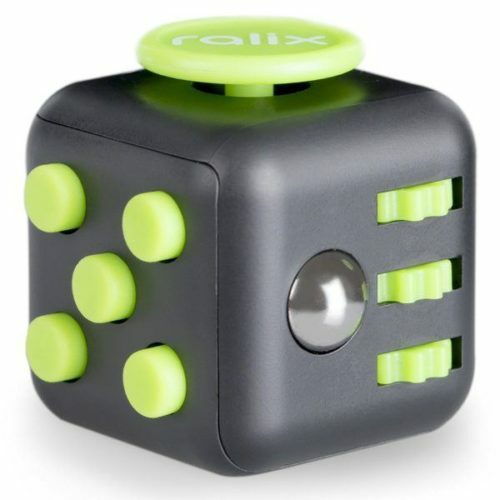 This sensory cube takes the focus away from the mind and onto the cube itself. It’s a great relaxation technique for when the mind is a little bit too much for the little one to take. you’ll see him take to this like a duck to water and you’ll wonder why you haven’t thought of it before now.